Sika Cleaners and Primers Alpha Industries Ltd.Alpha Industries Ltd.
Sika Aktivator is an activating agent, designed to improve adhesion. It is specifically formulated for the treatment of bond faces in direct glazing work prior to application of various Sika polyurethane adhesives. Best for adhesion on glass, ceramic coated glass, the cut face of old polyurethane adhesive, polyurethane pre-applied windows, glass and paints. Click here for the Sika Aktivator Technical Data Sheet. Click here for the Sika Aktivator 205 Technical Data Sheet. Sika Primer-206 G+P is a black, moisture-curing liquid primer specifically formulated for the treatment of bond faces in direct glazing work prior to application of Sika polyurethane direct glazing adhesives. Provides improved adhesion on glass and ceramic-coated glass in adhesive bonding applications. Sika Primer-206 G+P can also be used on other substrates such as plastics and some metals. 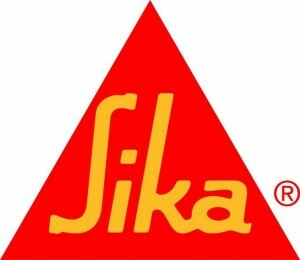 Click here for the Sika Primer 206 G+P Technical Data Sheet. used to clean painted surfaces prior to bonding. Click here for the Sika Remover 208 Technical Data Sheet. Sika Glass Cleaner is a glass and surface cleaner, formulated for the AGR and Transportation markets. It is a non-flammable aerosol concentrate used to clean windshields, glass, metal and other hard surfaces. It dissolves spots, grease, oil, finger-prints. Click here for the Sika Glass Cleaner Technical Data Sheet. Sika Hand Cleaner is a unique, patented, waterless, citrus-scented hand cleaning system combining both a high-quality liquid hand cleaner formula and a heavy-duty, non-scratching abrasive hand-cleaning towel. Sika Hand Cleaner’s unique properties work fast to remove fresh urethane and primer, small amounts of cured urethane and dried primer, and loosens and dissolves surface and embedded grease, grime and soil. Hands are left fresh, clean and residue-free, without rinsing or drying. Click here for the Sika Hand Cleaner Technical Data Sheet.